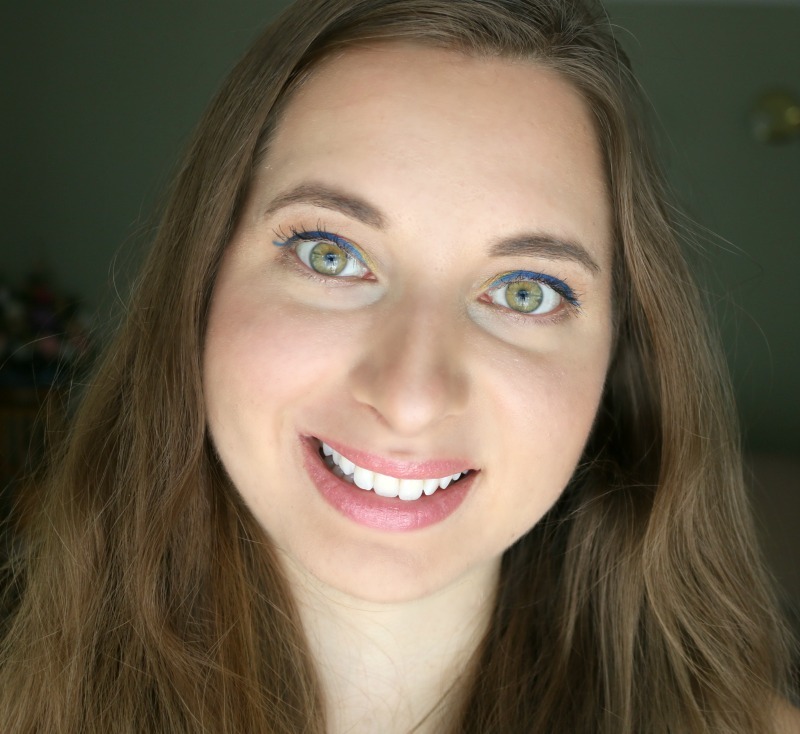 As a base, I used the Zéro Défaut Flawless Skin Foundation* ($28) in Beige 100 which I have been reaching for a lot recently since becoming a couple of shades darker (hello summer sun)! I had not used it for a while and forgot how much I loved it. Made with soy extract and botanical mineral pigments, the formula feels very light on the skin and it provides medium coverage that is easily buildable and does an excellent job at covering my imperfections and redness. To set my liquid foundation, I dusted a bit of the Light & Luminous Loose Powder* ($30) in Beige on my T-zone. I generally prefer pressed setting powders, but something about this one makes my skin look extra nice. It contains rice extract and cornflower water to provide radiance and looks very natural on the skin and is basically undetectable so you do not have to worry about looking caky throughout the day. I then reached for the Duo Bronzing Powder* ($30) in Medium Veil, the second lightest shade of four. I used the lighter shade to bronze my face using a big fluffy brush, and went in with a thinner brush to define the hollows of my cheeks and the sides of my nose. Made with Tiaré flower extract which is known for its soothing properties, the powders blend with ease. It also has a scent reminiscent of summer. The new packaging now contains 47% less plastic, and the pan is quite big so I see this product lasting me quite a long time. To add a bit of colour to my cheeks, I reached for the Botanical Color Blush* ($20) in Pink Peach. Since I went for a more dramatic eye look, I wanted to keep the rest of my makeup more subtle to balance it out. Available in 10 shades, the formula is buildable yet pigmented and leaves a nice flush of colour. Enriched with rosehip oil, it applies smoothly and does not look powdery or chalky. For the eyes, I wanted to play with bolder colours, and opted for three of their new Botanical Color Jumbos* ($20): Matte Yellow Mimosa, Matte Pink Nymphaea and Pearly Hazel Wood. I focused the yellow on the inner corner of my eye, a touch of pink near the center and hazel on the outer corner and slightly in the crease. What I love about these pencils is that they can be used as an eye shadow or liner. They can be a little stiff to work with at first, but once the product melts on contact with the skin, they glide on much more easily. Made with nourishing apricot oil and cedar wood from a sustainable forest, the 15 jumbos in this line come in either pearly of matte finishes. I then created a wing using the Vertige Felt-tip Liner in Paradise Blue* ($17), a striking, electric shade. The tip is super easy to work with to create a sharp line as well as build on thickness. It is also ultra-pigmented and long lasting and does not feather. For the lips I went for a natural shade, the Radiant Lip and Cheek Crayon* ($13) in Coral. It has a sheer, slightly shimmery finish and is super hydrating, like a lip balm thanks to shea butter and mango butter. It comes in a twist tube so no need for sharpening! I've also been upping my sun protection game and the Solaire Peau Parfaite SPF 30 Sunscreen Lotion* ($32) is water and sweat resistant for 80 minutes. This one does not have a heavy scent and is non-greasy and non-comedogenic, as well as being free of perfume, colorants and parabens. I use it both on my face and body and despite being white it is easy to spread and blend in without it leaving a film behind. The Chic & Bohemian Summer Collection includes three scented products: the Eau de Toilette* ($19), Perfumed Shower Gel* ($3.95) and Perfumed Hair Mist* ($12). The scent is fruity and fresh with notes of citrus and mint - definitely very summer appropriate! The Eau de Toilette, packaged in a glass bottle, is quite strong at first but dissipates after a few minutes. The Shower Gel contains cornflower water from organic farming and comes in a recycled plastic bottle, with 98% of ingredients being from natural origin, just like the hair mist which is of alcohol and botanical origin. You can use each individually or use all three on a given day to smell like summer from head to toe! 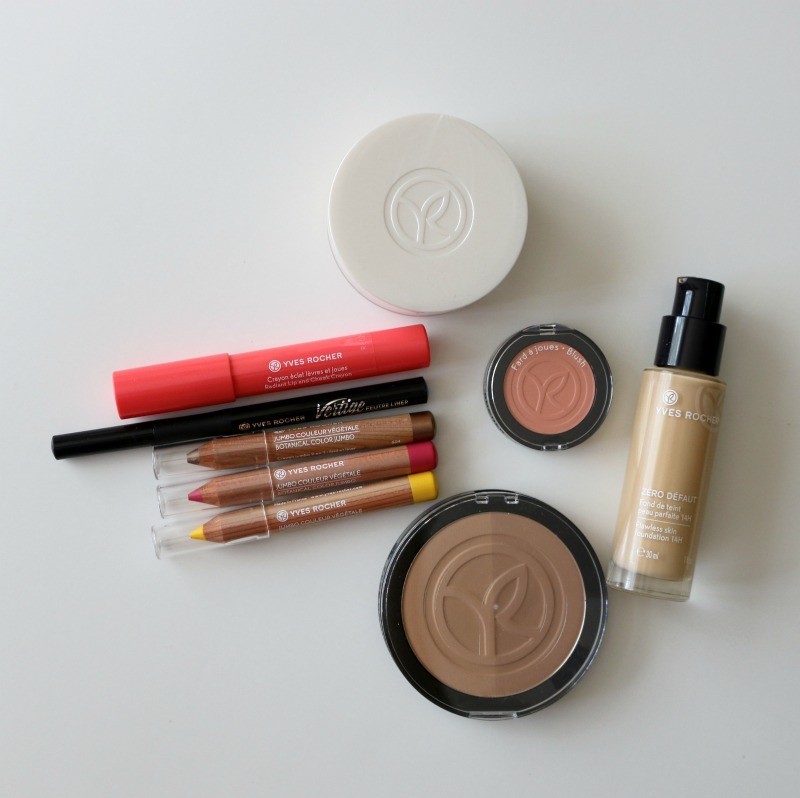 And there you have, my top picks from Yves Rocher's summer launches! What do you think of the makeup look? Do you enjoy playing with more vibrant colours in the summer? *Disclaimer: This post was sponsored by Yves Rocher. All thoughts and opinions are my own. That's such a great look! I love that pop of color you used on your eyes. So pretty! Seeing cake makeup is the worst. Love what you did to your eyes. Don't think I can pull it off at my age. Looks great on you. I need to show this to my wife. She likes to mix up her look with some bold colors from time to time. You looks so pretty! I especially love your eye make up. What amazing colors! I love how you styled your eyes. The blending of colors is so cool. I know some women are afraid to add blue to their eyes. I think it makes your eyes really pop! I've tried a lot of bits from Yves Rocher but never their make up, that is something I really need to rectify I love what you have done with this look. I love how you did your eyes! I'm always to shy to go bold on my eyes, but this is amazing!! That's a little too bold for me. I totally wear an all natural look 99% of the time. However, my 18 year old daughter is very much into makeup. I love the bold colors of the eyes! I really enjoy playing with different colors of liners and shadows. The new summer collection from Yves Rocher sounds amazing. I love your eyes with all those colors. I always went super bold with eye makeup! I love the look of the blue liner. Yves Rocher has fantastic products. I have several of their makeup pieces. Oh wow, I love how you did your eyes! I am no where near that talented when it comes to eye make up. I do not think I have used Yves Rocher in decades! I really need to get some of their product and try them out again! You look fantastic! You have such lovely eyes and I love the blue eye liner on you. I love this brand! I LOVE your double eyeliner! Those colors are so bright and pretty on you!! Never heard of the Yves Rocher brand. I love the colorful eyeliner I need to wear it more often. totally unrealated question. How on earth did you get the eye liner on straight and evenly - equally on both eyes. I always mess it up. That is beautiful. You'll have to do a video and show us! I love the blue eyeliner. It's just edgy enough to be cool but it's not so over the top that it's unwearable! I really love the blue eyeliner. It simply makes your eyes stand out through personality. You matched perfectly the bold eye shades with the natural color of the gloss. I love the way your eyes turned out. I have never been good with makeup but I would love to attempt this look. Your makeup looks awesome! I love Yves Rocher products. Blue, that is unique and you did a great job. I don't really know much about make up\. I love this lip product - just the right color, and just the right amount of shine. It has a natural look to it, but adds the perfect amount of color. I like what you did with the eye color too, it makes your eyecolor really pop! I've never seen their summer collection. I think it's amazing though! I really love the colors! The colors for this collection are perfect for the season, without a doubt! I've always liked bright and bold colors during the summer! You have beautiful eyes and this make-up is spot on. These all sounds like great products. 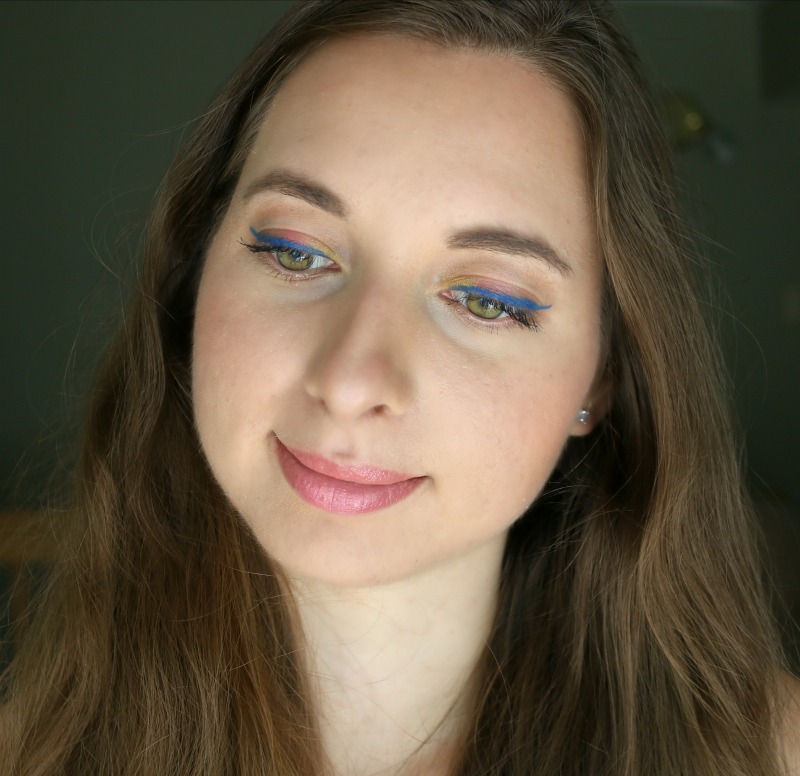 I do however really love my eyeliners and the Vertige Felt-tip Liner in Paradise Blue is something I am going to get for sure. Thanks for sharing an amazing job on your eyea and the awesome products. I love the blue liner. I've been wearing blue in my water line a lot lately. So cute! What a great palette! I love the eyeliner! This is such a cute look! I haven't heard of any of these products. They look like something I need to try. The makeup looks beautiful. I never heard of this makeup line but it sounds like a wonderful set of products. That blue eyeliner is gorgeous. What a lovely look! It looks gorgeous and ubique as well. I'll have to practice how to apply eyeliner perfectly like yours. This is so pretty! I think the best part has to be the fun use of different bright colors for your eyes! Gorgeous! I love what you've done with your eyes - very summery and not something I've seen before but it works so well! This is cute. I love makeup but I'm too lazy to put it on. I need to do better. Thank you for sharing. I love your makeup! The blue eyeliner has a really nice, bright shade. Great look! I love that you played around with the colour, it looks awesome!! Love your summer look! So vibrant, refreshing! I used to buy Yves Rocher products online, love their coconut collection. This is the first time that I've seen a blue liner. It's bold but it looks good on you. Absolutely adore your eyes! They are so beautiful! I tend to uses same products all over again too! 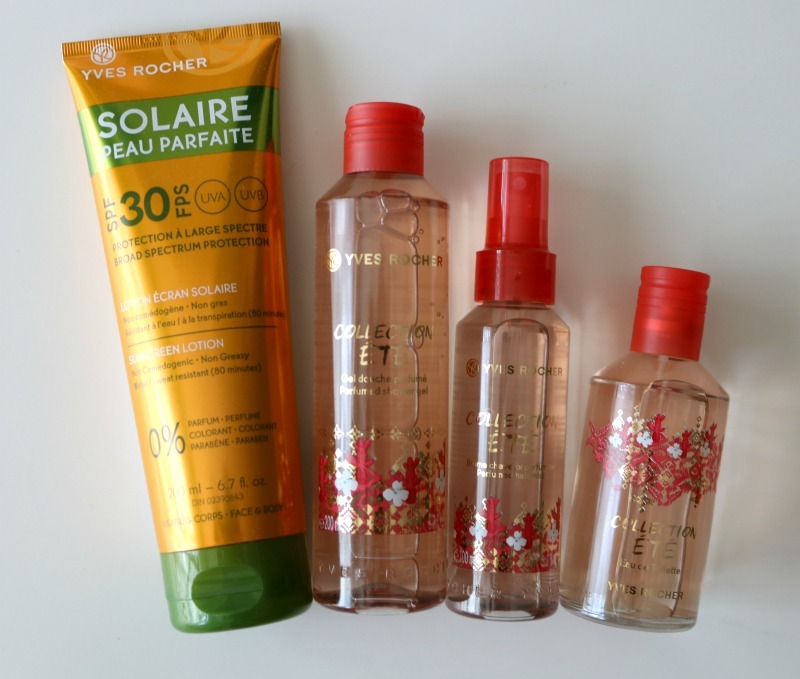 Have to check out Yves Rocher's The Chic & Bohemian Summer Collection! The blue looks great, it really makes your eyes pop! I am a creature of habit as well when it comes to my makeup, perhaps I could take a little branching out. It never hurts to try! Thanks for sharing! The blue and yellow is absolutely gorgeous on you! It really screams summer! I really like the blue eyeliner on you. It give a nice contrast to the color of your eyes. So pretty! I don't use much for makeup and when I do, I do not use much for my eyes. It isn't that I am afraid to, it is that I just don't feel comfortable doing it because I never really learned how. I like your blue eyeliner! It reminds me of the runway show few years ago. Oh wow. what an awesome look! I love it! Indeed a perfect wear this summer. I love the way you did that mixing too! I've done a quick search on Yves Rocher, because I am always looking for high quality vegan products. I was disappointed to learn that they sell to mainland china and by law are required to test on animals. I am a book geeky and not a master of beauty and fashion but more and more I am trying and stepping out of my comfort zone. I am like you, I like the neutrals and purple. That blue looks fantastic on you. It feels 90's to me and that is coming back apparently! I love Yves Rocher products. I am using some of their products. Rocher is realy a good brand. You look Beautiful. Maeks up looks so good on you. I'm not a huge fan of these colors together. They would be perfect for a rio related event though! This makeup collection is very nice and looks great on you. My favorite though is the coral lipstick! Great make up choices! It's turned out amazing! You are so pretty.